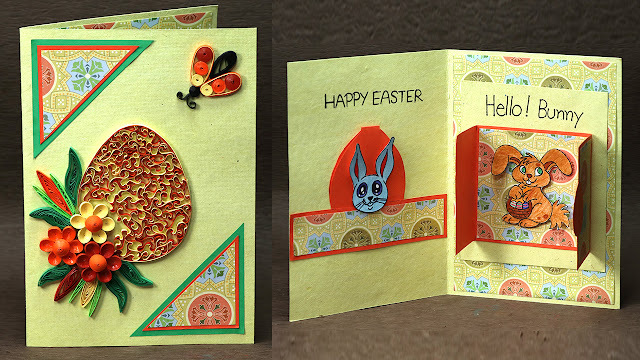 Learn the art of making quilling card for Easter and wonder anyone along with your creativity. This greeting card educational by using Artsy Fartsy will display you stepwise instructions to make Quilling cards at home. In this specific tutorial, you'll make a beautiful quilling egg design in front of the cardboard complemented with different quilling items. Even in case you are amateur to quilling, this Easter greeting card is all you need to study the quilling artwork. Plus you may also get homemade Easter cards that usually look remarkable. that is one of the best handmade Easter greeting card thoughts. So, watch this Easter card making tutorial now and start making stunning greeting cards for Easter. in case you want greater quilling card ideas, take a look at out other quilling Easter card ideas on Artsy Fartsy!